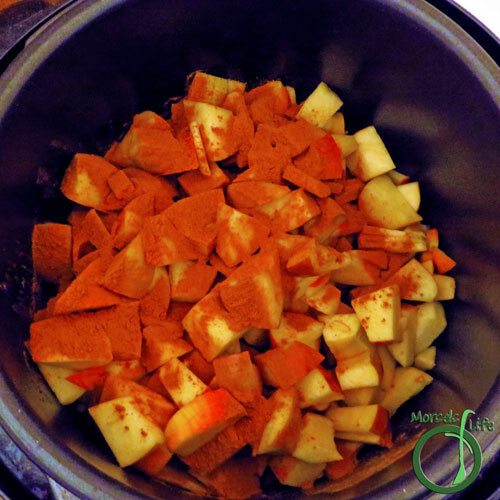 With all the apples we had around and not enough time to eat them all, I decided to make some slow cooker applesauce. I also threw in some cinnamon since I prefer cinnamon applesauce. You can easily experiment with a variety of different seasonings. I'm thinking I want to try apple pie spice next! Also, just a quick note about the texture - we like it chunky, so I don't bother peeling or pureeing. If you prefer a smoother texture, you could puree the apples before or after cooking. 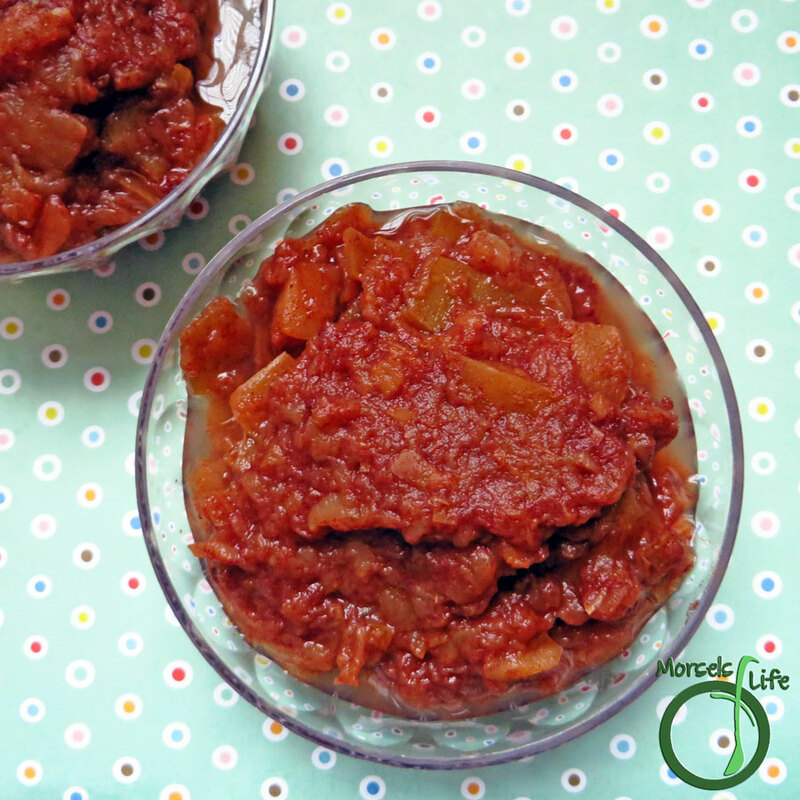 Using a few different varieties of apples helps give your applesauce an extra depth of flavor. Pink Lady's are some of my favorites! 2867 grams 6.32 pounds apples, chopped I like to use a few different varieties for extra depth of flavor. 2. 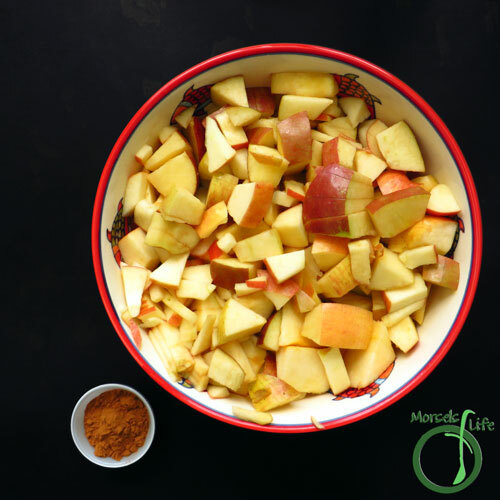 Place apples into slow cooker, and sprinkle cinnamon on top. Cook for approximately 4 hours, or until apples soft, stirring occasionally. Puree if desired for smoother texture. I love spicy homemade applesauce. This looks great! Spicy applesauce sounds delicious. Thank you for sharing with us at #AnythingGoes. I've never made chunky applesauce. Sounds super tasty and nice change from regular applesauce. This looks good! 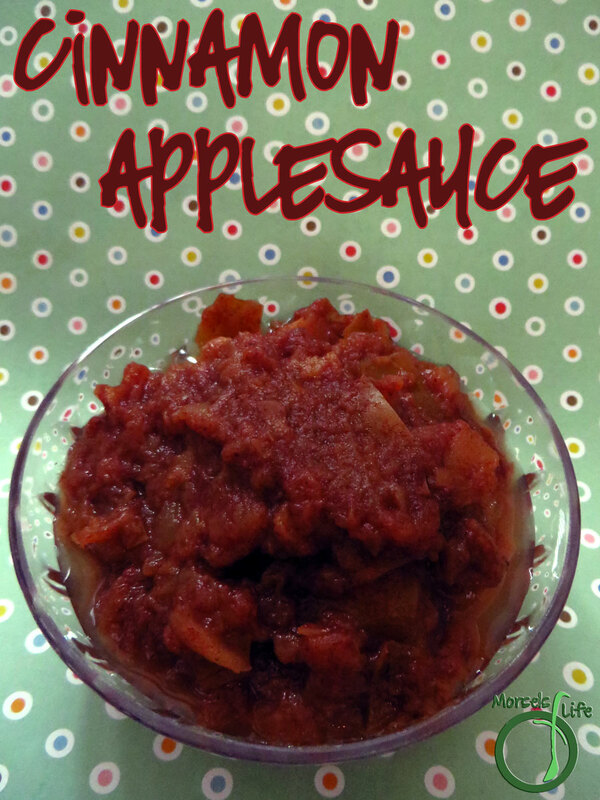 I love applesauce and this is definitely something I need to try and make here at home! Thanks for sharing and linking up with us over at Welcome Home Wednesdays Link Party.